Grits n Gravy Music | Uncommon Music. Unforgettable Events. Utilizing the classic sounds of the Hammond B3 organ, RUMPROLLER transports audiences back to the nightclubs, cocktail parties and lounges of the 1950s, ’60s and ’70s. Their repertoire includes Jazz Standards, R&B, Soul, Gospel, Indie Rock and Contemporary Remixes. Mardi Gras, Jazz Fest, second-line parades — all the flavors of New Orleans come to town when BRASS MONKEY brings their infectious energy and funky good times to the party. From New Orleans classics to Led Zeppelin, Nirvana and Stevie Wonder — laissez les bons temps rouler! 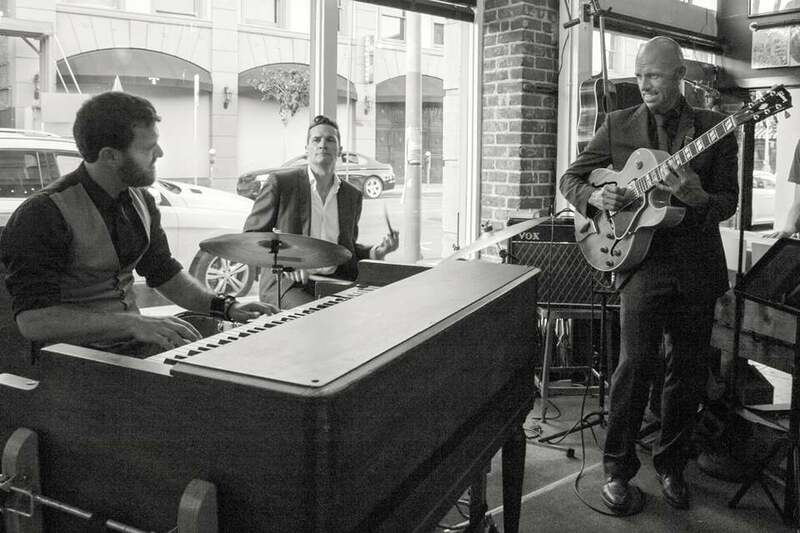 LUSH LIFE is a lounge-noir ensemble that marries the Great American Song Book with jazz standards, Blues and beyond. Dawn Bishop’s sultry vocals are cool enough to put a chill on a sophisticated evening and hot enough to burn down the house. One part Motown, one part Chicago, with a dash of Memphis & Philadelphia soul thrown in, Woody’s Big Surprise mixes blue-eyed soul vocals, rippin’ sax and a burning band. Bringing to mind names like Al Green, Marvin Gaye and Steve Winwood, WBS is a delicious recipe for a party! Only one word — FABULOUS!!!! Everyone is raving about the wedding and “that band!” The guests had fun and were appreciative that there was not your typical wedding band or DJ playing. I cannot recommend these guys highly enough. They worked very hard to make the music at the ceremony really special for us. And during the reception, they added surprising, individual touches just for us, making it even more memorable. If you want a band that will appeal to everyone at your wedding, young and old, and who will work their asses off to make your event as special as possible, then look no further. We came home to voice messages, notes, and e-mails all commenting on what a great time it was — and the band was mentioned in every one. I have to say, you all were a pleasure to work with and even better to hear. Your three hours in the event was one thing that my wife and I never did worry about. After our first conversation, I told her that I figured you guys knew what you were doing and I was right. We want to help you take your event to the next level. To create an experience that is exceptional and engaging — memorably different. 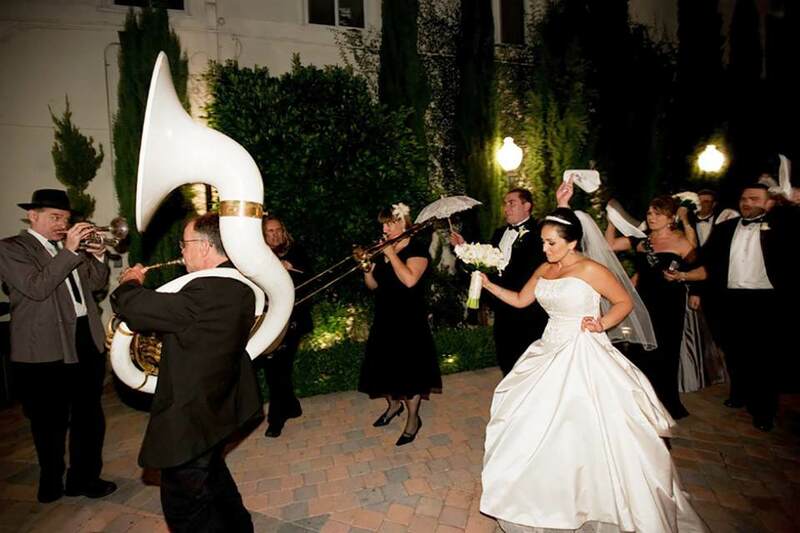 “I have never seen a band like this at a wedding. This was amazing!” Our bands go beyond the cookie-cutter cover band approach, and deliver the indelible. We don’t try to sound like the radio. If you want “YMCA” we may not be the choice for you. We offer unique styles, surprising song choices, and unconventional instrumentation on vintage instruments. Grits n Gravy delivers an experience that is fun and fresh — and every bit as satisfying as the party classics/ standards.